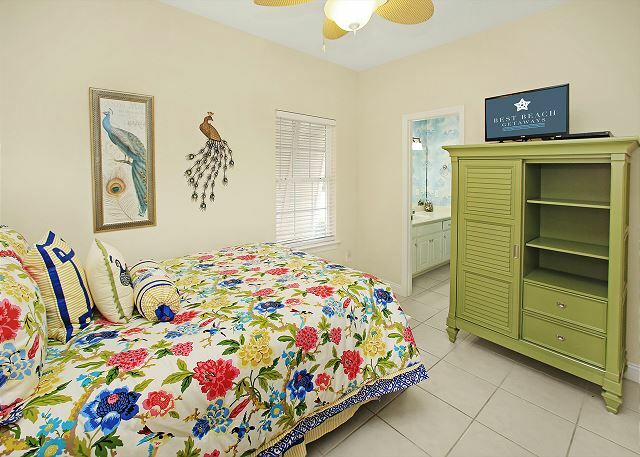 Welcome to the Summer Towne Cottage! 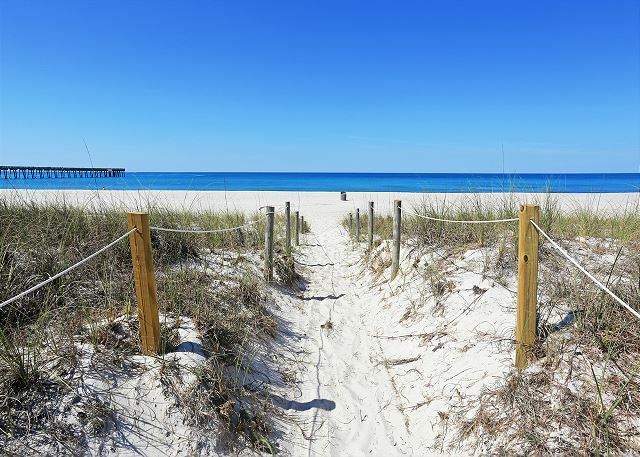 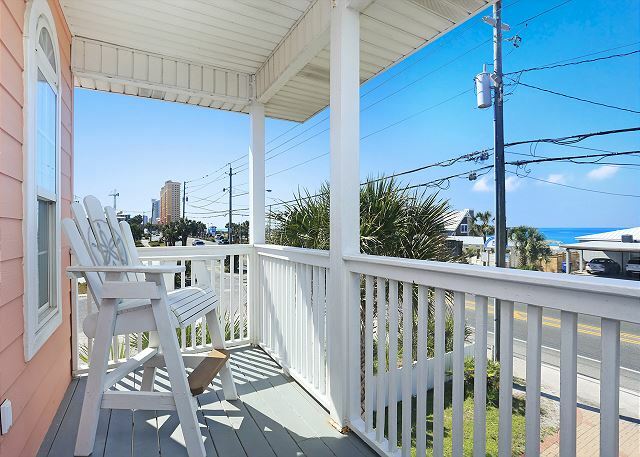 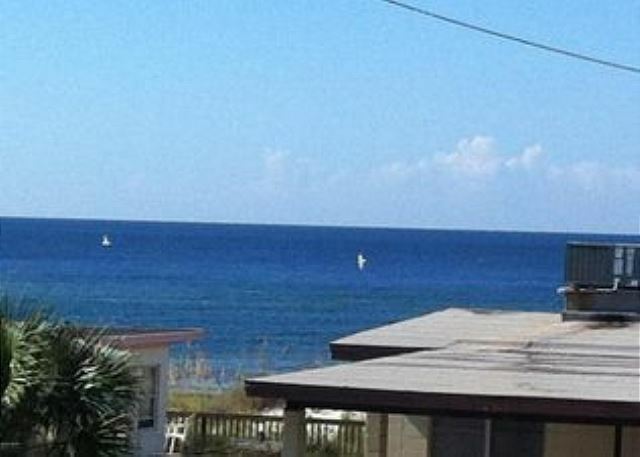 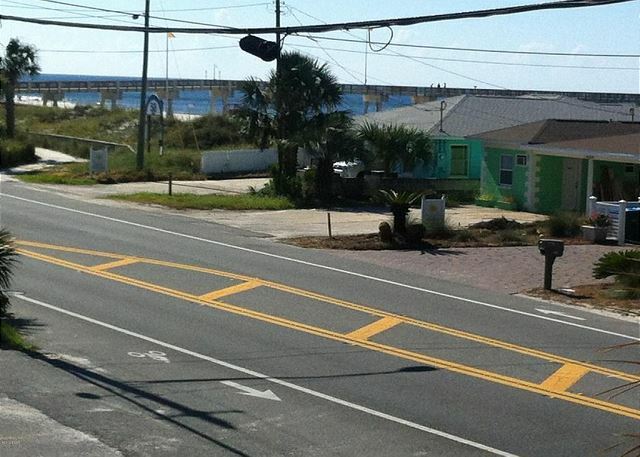 Summer Towne Cottage is a beach house With Gulf views, located on the west end of Panama City Beach. 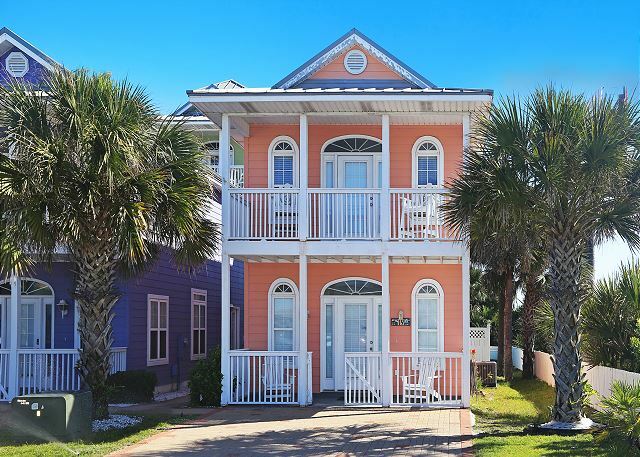 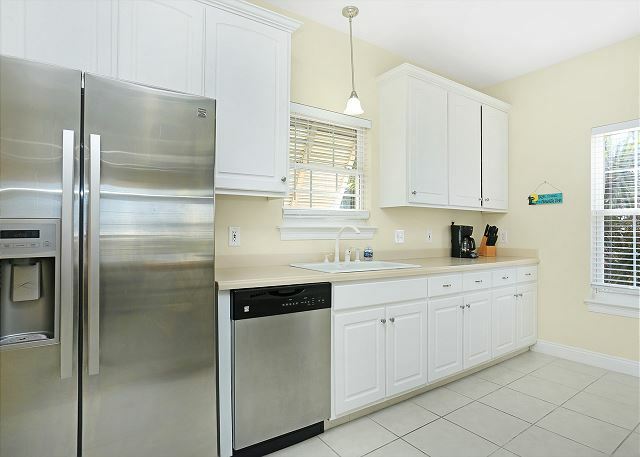 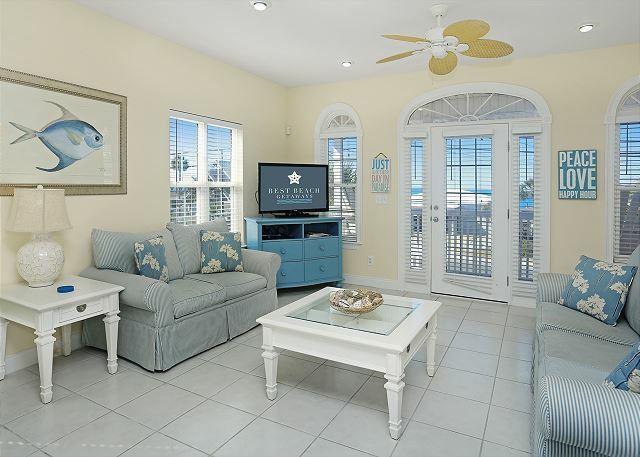 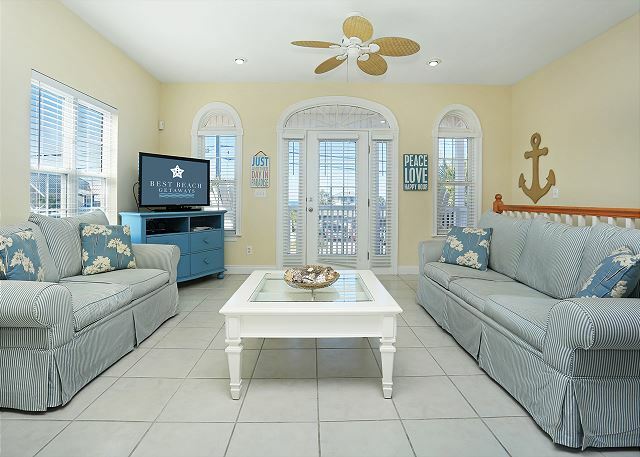 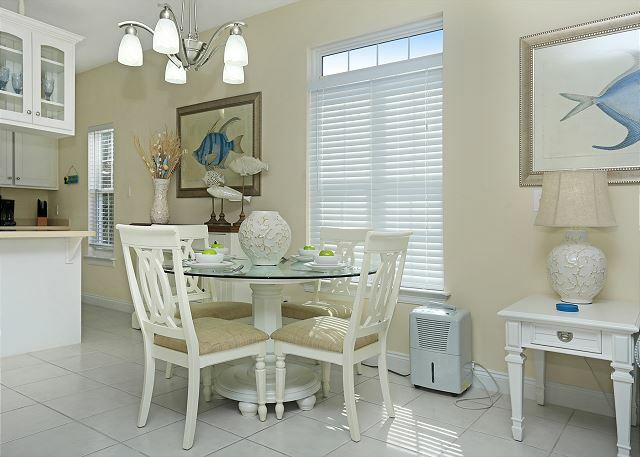 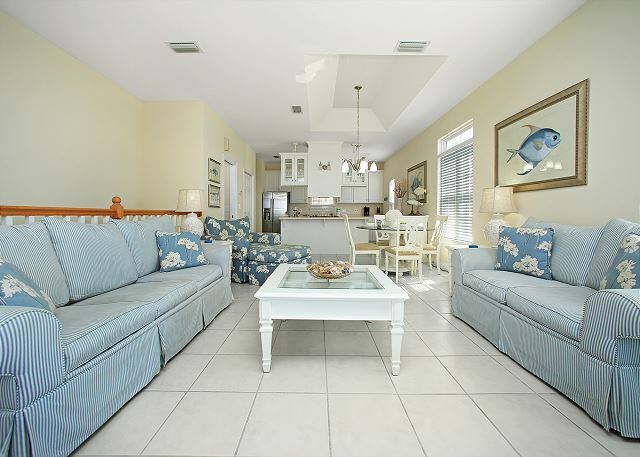 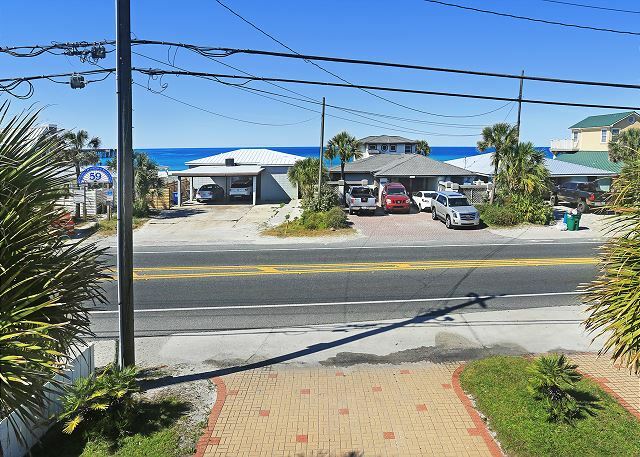 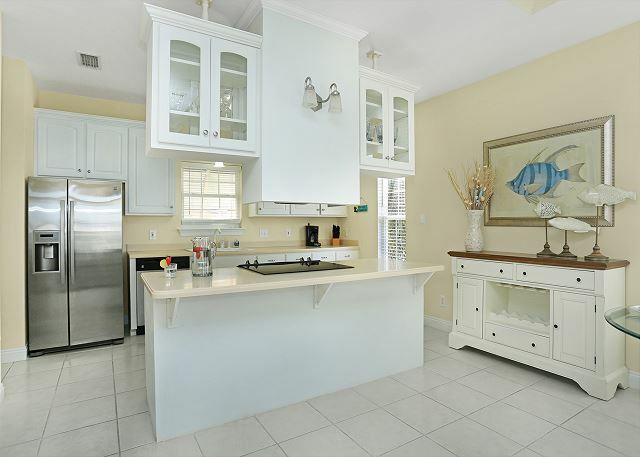 This home is the perfect place to stay - located directly on Front Beach Road right beside Pier Park, Walmart and the famous Dusty's Oyster Bar. 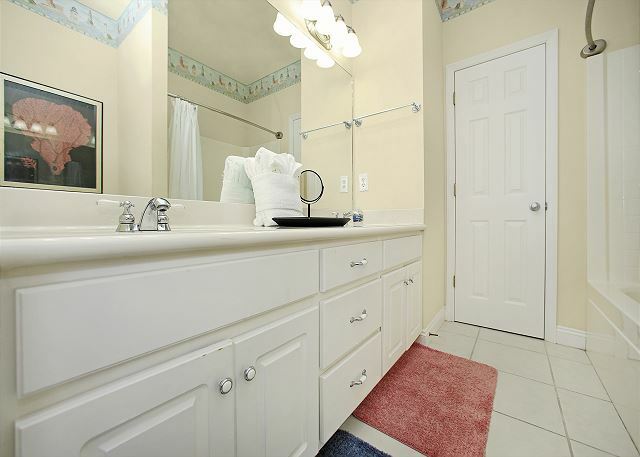 Summer Towne will allow you to bring your pet with you as well. 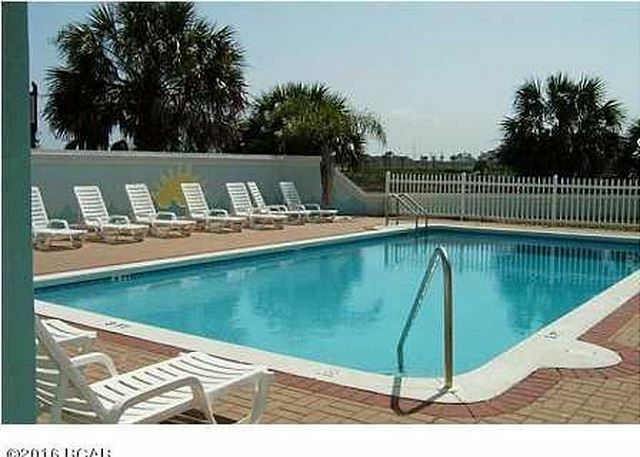 The dog beach park is located right across the street from the home! 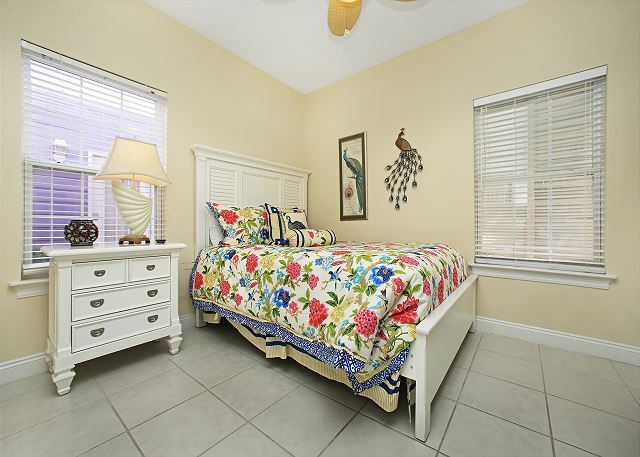 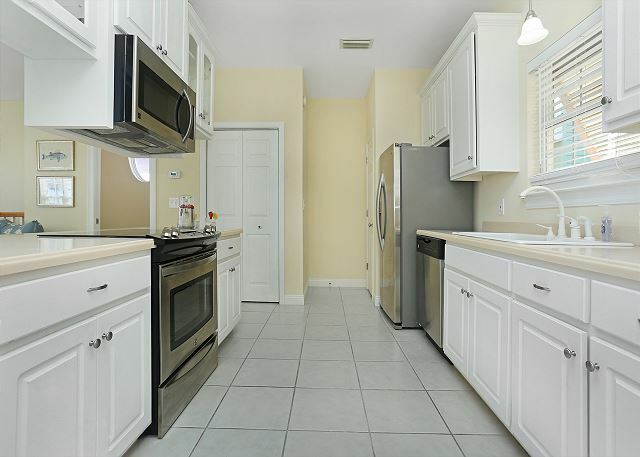 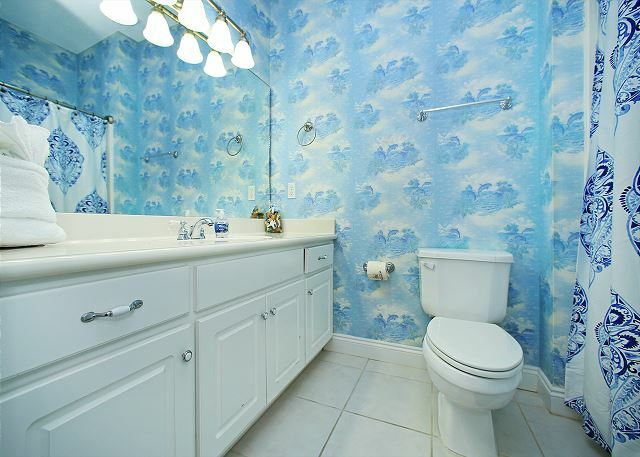 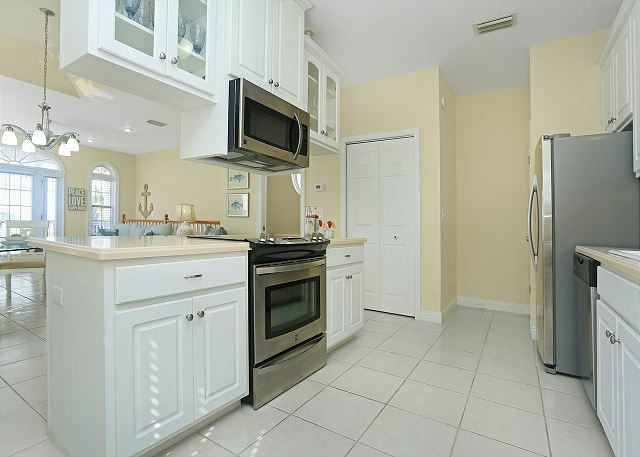 This 2 bedroom, 2.5 bath house offers an unbeatable value and provides space for families to relax. 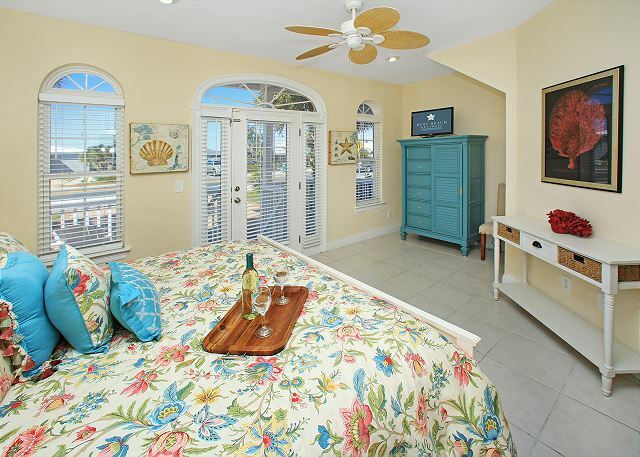 The master bedroom has a king size bed . 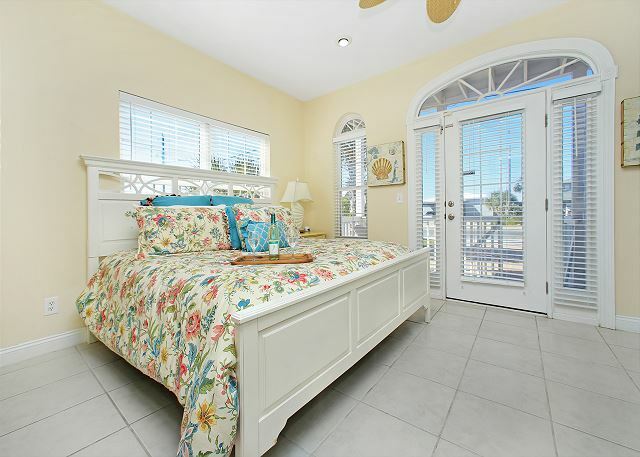 The second bedroom has a queen size bed. 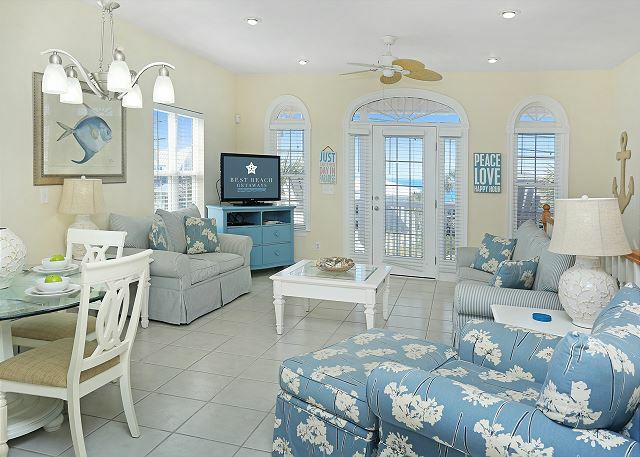 Summer Towne also has a queen size sleeper sofa in the living room, and two private porches equipped with beach chairs. 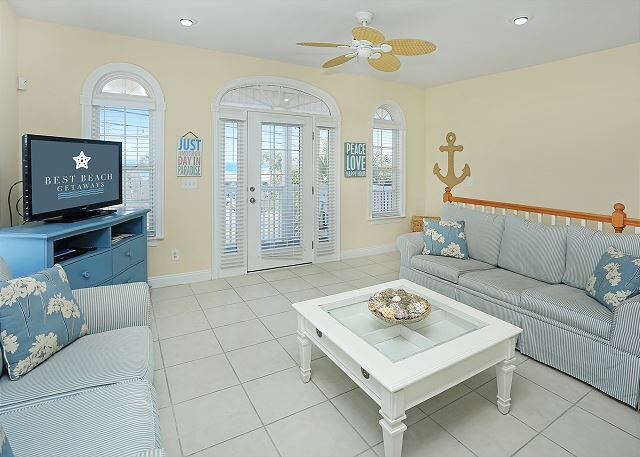 The second level balcony off the living room offers Gulf views!